The boat was finished, and was trailered over to a boat shop for the installation of a 15 hp Tohatsu outboard, on February 2. 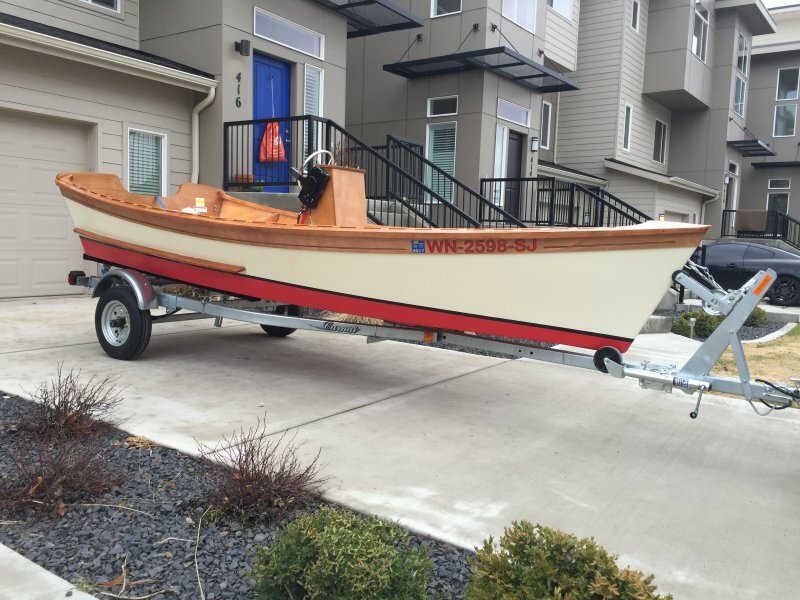 I am a first time boat builder and found that building the CLC kit was a fun fall/winter project. The boat will be on Lake Couer d’ Alene the next sunny weekend.